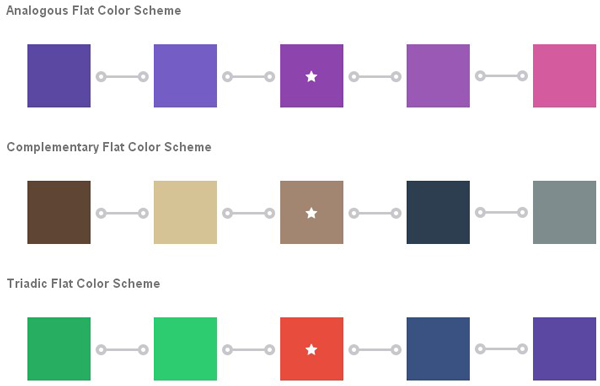 Chameleon is a lightweight, yet powerful, flat color framework for iOS. It is built on the idea that software applications should function effortlessly while simultaneously maintaining their beautiful interfaces. 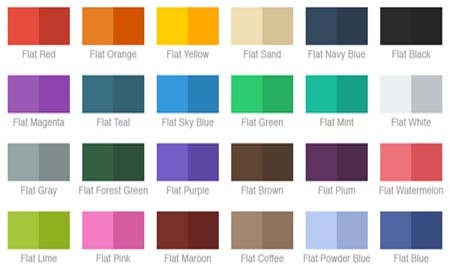 Chameleon is the first and only color framework on the market that focuses its full attention and efforts on “flat colors”. With Chameleon, you can easily forget about UIColor RGB values, wasting hours figuring out the right color combinations to use in your app, and worrying about whether your text will be readable on the various background colors of your app. Chameleon features over 24 hand-picked colors that come in both light and dark shades. Chameleon equips you with 3 different classes of flat color schemes that can be generated from a flat or non-flat color. In the examples below, the white stars indicate the color used to generate the schemes. With a plethora of color choices available for text, it’s difficult to choose one that all users will appreciate and be able to read. Whether you’re in doubt of your text and tint color choices, or afraid to let users customize their profile colors because it may disturb the legibility or usability of the app, you no longer have to worry. With Chameleon, you can ensure that all text stands out independent of the background color. The flatify feature is the most innovative and easy-to-use feature of Chameleon. With only one line of code, every single color on the screen can be converted into the closest flat version of themselves. It works with both storyboard objects and programmatically-created objects.